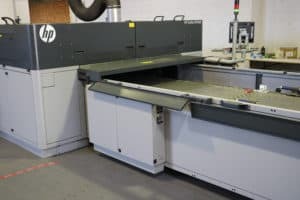 Welcome to PMS Lithography, the home of printing. PMS Lithography. 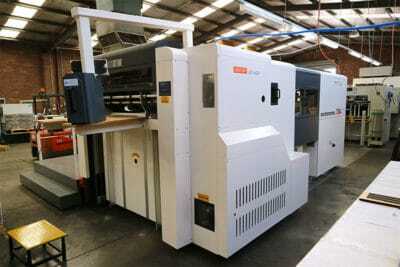 Digital Printing, Offset printing and large format printing. We offer high quality posters, POS displays, signage, graphic design, packaging and much more. 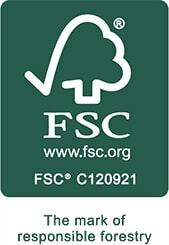 The ultimate in quality, across an enormous range of stocks and finishes. and every edge aligned to perfection. 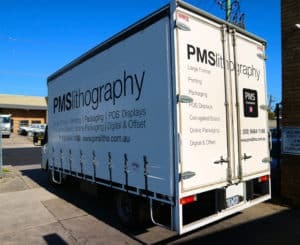 All of your packaging needs in one place, PMS Lithography. 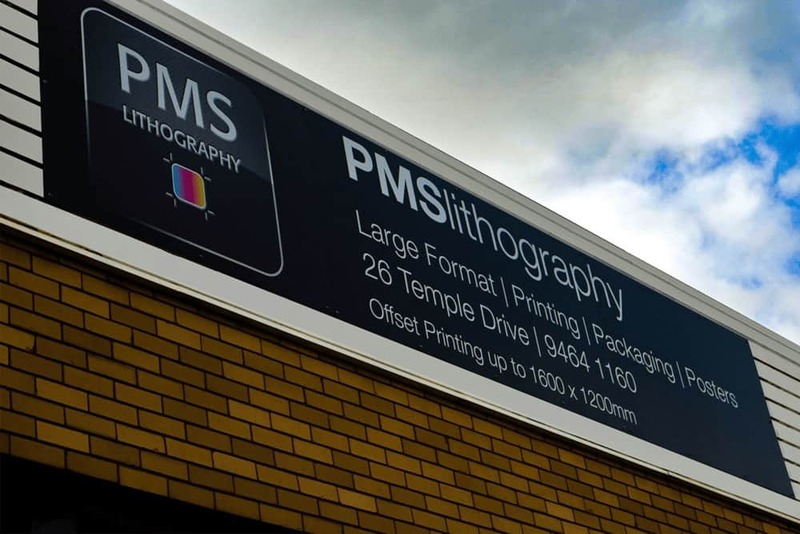 PMS Litho | Large Format Printing Melbourne & Australia is the home of Large Format Printing in Australia. As one of the countries’ leading large format offset and digital printing, packaging and Point of Sale providers; we’ve got you covered. We offer the complete in-house turnkey solution for your project; ranging from design, production, distribution and warehousing. 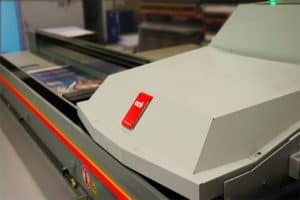 PMS Litho has the printing technology, attention to detail and skill set to see your creative ideas brought into reality. Click below to apply for a quote now. 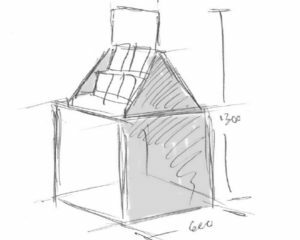 Our Dedicated team of industrial and graphic designers immerse themselves into your project from start to finish, working with our manufacturing team to produce inspired and creative concepts that are production and budget driven. 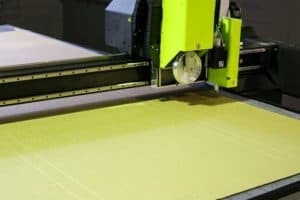 Specializing in Conceptual Design, Graphic Design, Industrial Design, 2D and 3D Graphic Rendering, Technical Drawings and fully printed prototyping. 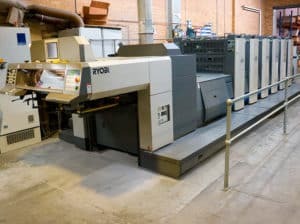 PMS Litho can produce large format offset printing up to 1200 x 1600mm. 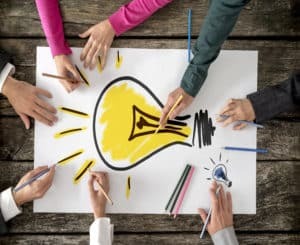 We know that your offset printer-produced brochures, displays and posters are your company's connection to your customers, so we ensure that your message will be as clear, bright and beautiful as possible! We have an extensive range of digital printing technology and finishing. 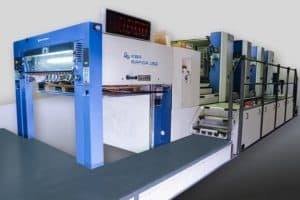 If you are looking for large format digital printing with an offset quality of up to 1250 x 2500mm (flat bed), or roll to roll digital printing (offset quality) web width up to 2200mm, then look no further than PMS Lithography. When it comes to large format digital printing, we know that it's more important than ever to have every pixel in its place, ensure every colour is perfectly balances and every edge aligned to the micrometre. 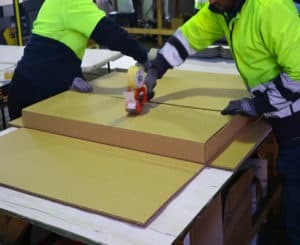 Large format die cutting with auto stripping, straight-line and crash-lock gluing, large format Litho laminating sheet to sheet, sheet to flute, single sided and double sided mounting, specialty gluing, POS, box and carton finishing. At PMS Lithography, we pride ourselves in the solar energy we produce on site to power our equipment. The additional green energy we purchase off the grid and the rain water harvesting to cool our equipment. 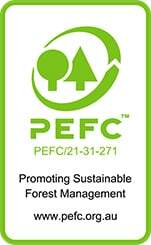 Our staff and systems are committed to recycle all waste material used in the production process. Whether you require a HSC, RSC, CFF carton packed with 1 or 100 items sent to one or multiple locations; we do this in-house, in full control managing your requirements. All local deliveries are performed by our own fleet of trucks, interstate or overseas deliveries using our trusted freight suppliers.